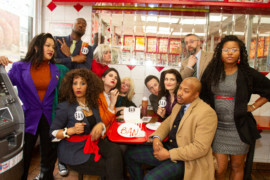 The sketch show that always sells out brings its signature smart-and-juicy brand of comedy back to our stage for a special news satire show that's sure to please. 9pm show added! The sketch show that always sells out brings its signature smart-and-juicy brand of comedy to our stage for a special news satire show that's sure to please.